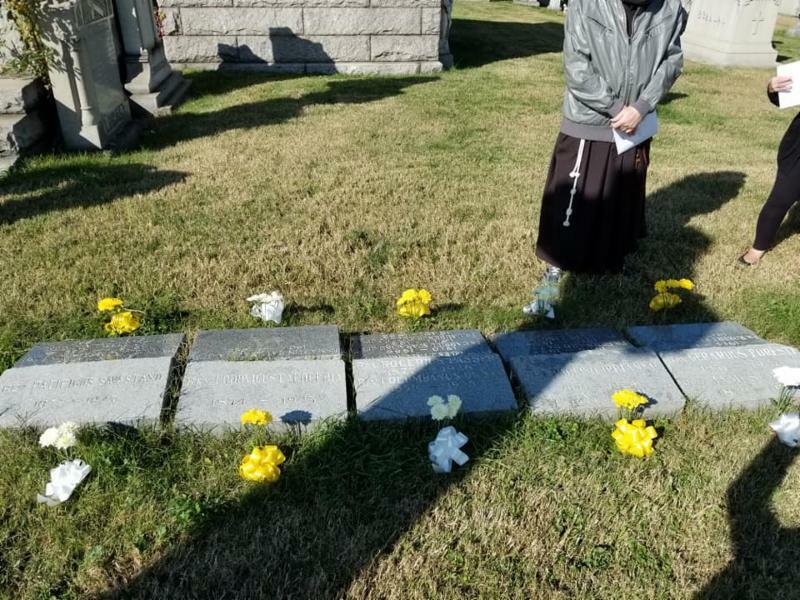 All during this month the friars of our province have been coming together at the various cemeteries where our deceased friars are buried to mark the month of the Holy Souls. We have gathered in Calvary Cemetery in Queens, Mt. Alvernia in Wappingers Falls, the Boston region (with our cemetery in Andover), and Toronto to join in Mass and in prayers for our deceased brothers, families, and friends. 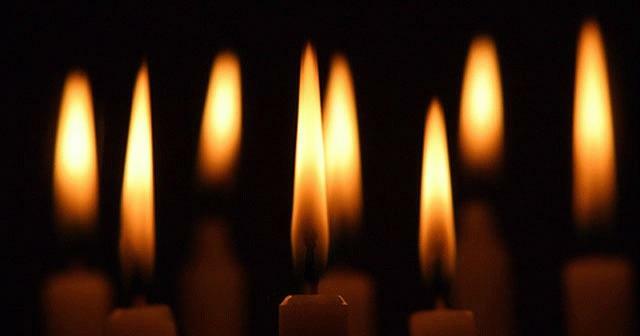 With this, we acknowledge the month of November as a special time to remember our dead. It is not a coincidence that the Church marks this month as a special time for prayer. We know that our church calendar follows the path of the sun, and that many of the feasts of the church revolve around the agricultural and pastoral roots of the Christian church. Easter, for example, is held in the spring, when the earth comes alive with grasses, flowers, and fruits. Easter not only marked the beginning of the growing season, but the time when the animals of the flock would give birth. Christmas is celebrated at the darkest time fo the year, paralleling the ancient festivals of light, marking Jesus as the Light of the World. But November isn’t only a time when we dwell on death. 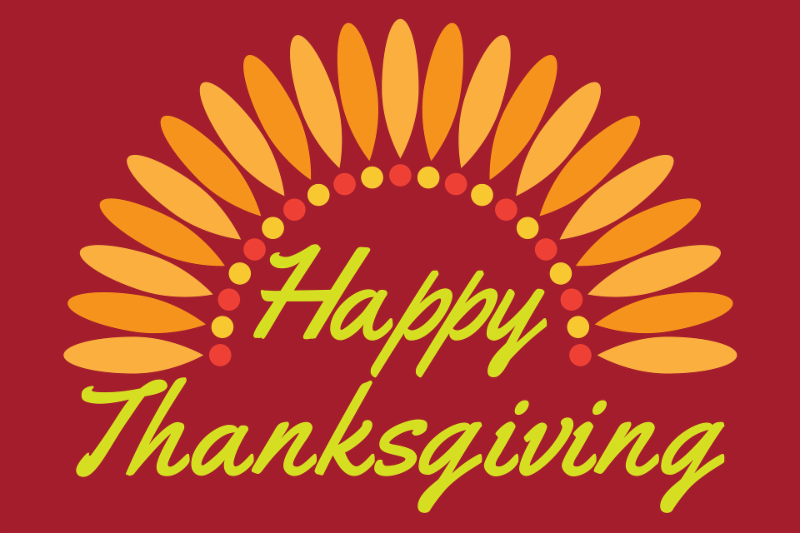 It is also the time when, at the end of this month, we celebrate Thanksgiving Day. This national holiday is one with tremendous religious overtones. Thanksgiving recognizes our dependence on something- or rather someone- greater than ourselves for all the good things we have in this life. In our own faith tradition, we give thanks to God for this bountiful land, for the abundance of gifts we have, for the fertility of our soil, the success of the work of our human hands, and the marvelous freedoms we enjoy. However, we need to recognize that giving thanks is not simply a posturing of gratefulness, for our thanks would be very empty if not accompanied by grateful action. The scriptures, especially the words of Jesus, remind us that giving thanks must be demonstrated in our daily lives. This, of course, poses some direct challenges to all of us. With the blessings of God in the area of technology, we have been given a glimpse of this world that few of our ancestors could have ever dreamed of. We witness first hand the inequalities of the world we live in. and the great needs of so many people. 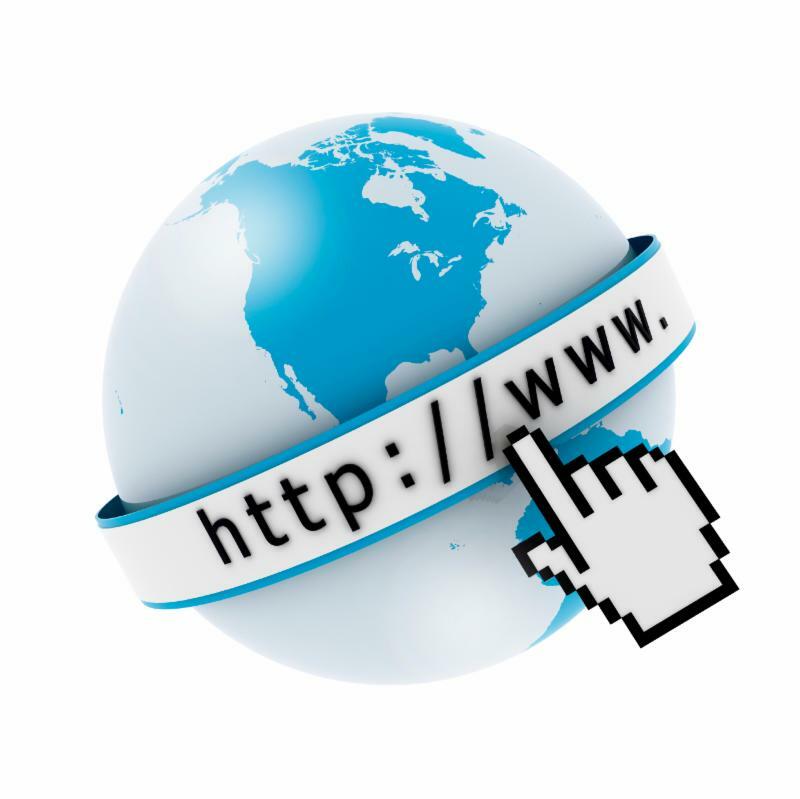 Boundaries have been erased, and we can see that we are, indeed, a global community. I would hope for all of us, our giving thanks to God will be accompanied by works of charity, generosity, and love for others. This is our call as Christians, as Catholics, and most especially, as Franciscans. This is how we truly honor our deceased loved ones. It has been just over two months since we received the habit and began our novitiate year. During this time, we have been getting accustomed to religious life here at San Damiano. Our days are filled with various activities, ranging from prayer and studies, to work and fraternal recreation. In addition, we are involved in diverse services both within the Sanctuary and around Assisi. Overall, our initial experience is one of hospitality, fraternity, and spiritual growth. The major focus of this year is growth in our prayer life. To facilitate this, we pray all the hours of the Breviary. This includes solemn Vespers with Adoration and Benediction every evening, two hours every day for silent personal prayer, and reflection on the readings for Sunday once a week. Three days of the week are dedicated to study. Lessons include Franciscan history and the Writings and Biographies of St. Francis, Scripture, Theology, Integration of Psycho-Spirituality, and Minority. Classes are given by our Novice Master, Vice-Master, and other friars who are experts in their fields. We are very grateful to have an Italian lesson once a week with our Vice-Master, in order to improve our skills in speaking the Italian language. We are also very thankful to our brother novices who are always willing to help us out at other times. 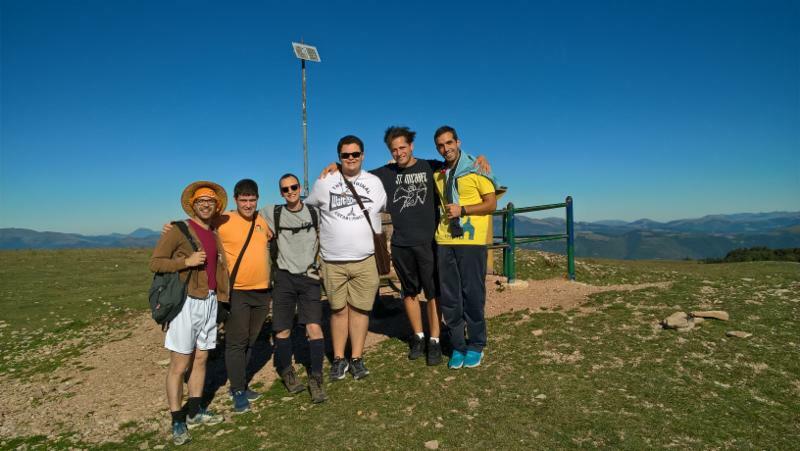 We also spend a lot of time outdoors, either for work around the property, or fraternal outings to Assisi, the Porziuncola, and hiking to the summit of Mt. Subasio. 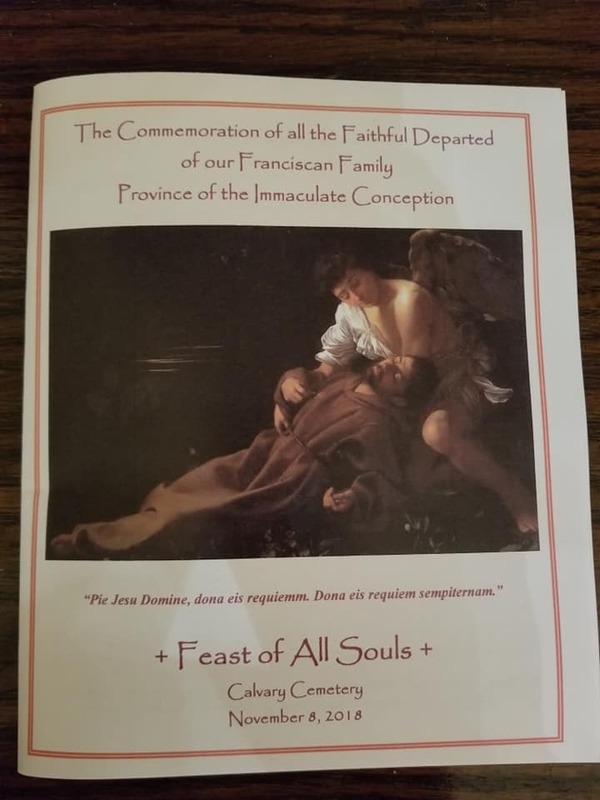 In particular, we participate in the Rosary and Procession at St. Mary of the Angels every Saturday evening, and we were blessed to celebrate the Transitus of St. Francis right at the spot where he went to the Lord. To conclude, these two months have been very uplifting for us. We have had many wonderful experiences and look forward to what is yet to come this year. Please continue to pray for our perseverance and growth in our vocations. As always, you are all in our prayers. Ci Vediamo Presto! Il Signore vi dia la pace! We received this update on the Postulancy Program in Calendon, Ontario, from Friar Pierre Farrugia, OFM. The postulants Dmitry Neill and Hawkins Choi are alive and well and journeying day by day in the newness of religious life! Every day they are embracing what it means to live, love and serve in fraternity as they grow accustomed to reaching out to the less fortunate and even to the groups which frequent our St Francis Centre in Caledon. On Saturday, November the 10th, they accepted an invitation to help with preparations for containers being sent to a mission in Malawi. They helped unload trucks of donations with about eight other people and stacked and loaded skids later to be loaded into containers. This is done through an organization called Canadian Food For Children which has a warehouse in Mississauga. Our sister, Frankie Burg Feret, who is also minister of an SFO group that visits our centre and which I accompany as spiritual assistant, is the main organizer of volunteers who go to help out there. It is an organization run by Dr. Andrew Simone. Both our sister Frankie and Dr. Simone have done so much for missions belonging to our province although this particular container is going to Malawi. 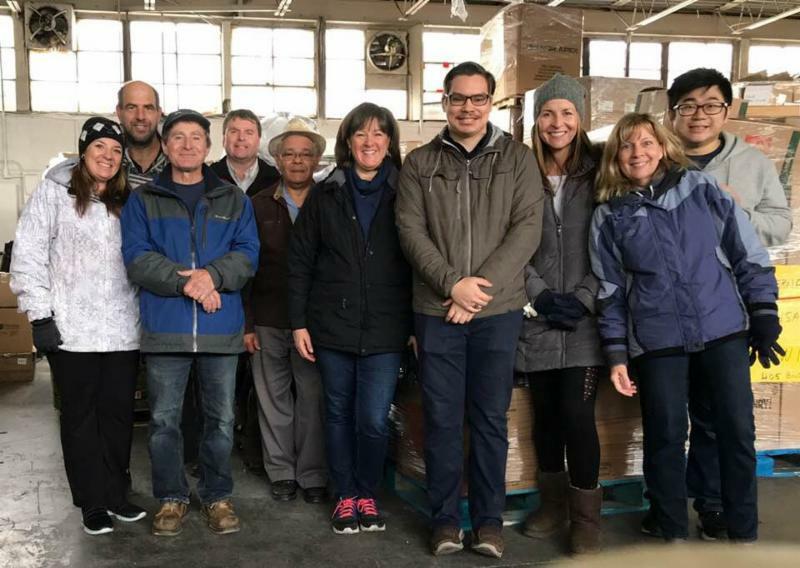 The warehouse they helped out on in Mississauga is run by an organization called Canadian Food for Children which has enormously helped our provincial missions in the past and continues to do so. It was a great team experience for them where their generous efforts for the poor were greatly appreciated. A couple of times a month, we unite with a cloistered community of Carmelite Nuns. They ask us to help them with providing Mass. There is a field of pumpkins we would always drive by and one day we had to stop and grab a photo. Never seen that many pumpkins in one field! This was just one endeavor they have been engaged in within the last few months of their postulancy. They have by now been to the soup kitchen a number of times, and are getting more acquainted with the routine work the volunteers are asked to help with. They are a welcomed presence by the organizers who enjoy their joyful demeanor and exemplary work ethic. On the whole they are doing well and allowing themselves to be guided. Please do keep them in prayer. Dmitry and Hawkins ministeringMD at Canadian Food for Children. 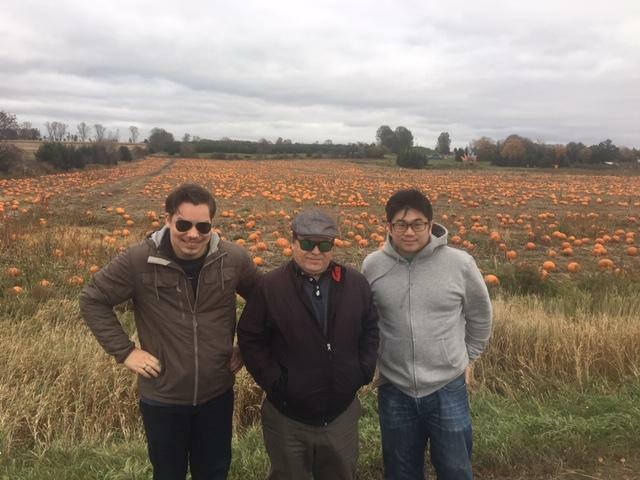 In the pumpkin patch with Fr. Peter! At that time, the Friary at 151 Thompson Street, served as the Provincial Curia as well as the rectory for Saint Anthony Church. Father Richard was assigned as associate pastor of St. Anthony’s. 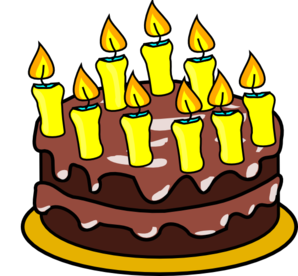 The fire, of unknown origin, began early in the morning of November 4, 1938 around 3 or 4 AM, and was discovered by a worker who smelled smoke. He made his way up the stairs to arouse the friars, but was met by a wall of flames. The fire quickly swept up the wooden stairway of the five story building and trapped some of the friars who were in their rooms. Fr. Richard was one of the first aroused and quickly exited the building. He missed two of the priests and returned to the building to locate them, dashing through the flames in the hallway. He awakened Fr. Luigi Vitale, O.F.M, who was later injured when he jumped two stories to safety. He then awakened Fr. Bonaventure Pons, O.F.M., who was sleeping while the door to his room was burning down. Fr. Bonaventure, following instructions from Fr. Richard, started up the stairs to the roof. On the way he felt an explosion which threw him and Fr. Richard to the roof of the building next door, where he saw Fr. Richard lying unconscious, burning and bleeding. He called for help and firemen carried Fr. Richard down a ladder. Fr. Anicleto Silvioni, O.F.M., 57, the Minister Provincial, also leaped from a third floor window to the next door roof, and was carried by firemen using an ironing board as a stretcher to a nearby tenement. Fr. Antonine Tosti, O.F.M., 68, was rescued from a ledge on the fourth floor, to which he had been forced by the flames. He was treated for exposure. Another friar, Fr. Edward Salerno, O.F.M., secretary to the Provincial, was also rescued. One of the most spectacular rescues was that of the pastor of St. Anthony’s, Fr. Virgil Liucci, O.F.M., 40, who, after being awakened, tried unsuccessfully to get into the hallway. The flames were too intense, and as they started to sweep into his room on the second floor, he knelt briefly before an image of St. Anthony to pray. Then he tied a bed sheet to a radiator and started to lower himself to the street. The flames were shooting out the window when he was about to jump to the street, but just then he heard the fire engines approaching and was rescued. Fiorello LaGuardia, the Mayor of New York, informed of the fire while at home, sped to the scene in a police radio car and immediately inquired as to what he could do to help the friars. He offered his sympathy to the pastor. Also visiting the scene was the Most. Rev. Stephen J. Donahue, Administrator of the Archdiocese of New York. Father Richard was taken to Columbus Hospital to be treated for burns he received on his hands, face, and legs. For five days he lay on an inflatable air mattress, suffering great pains from his burns. The Archives of the Franciscan Province reported: “For four days Father Richard lay in the hospital, hovering between life and death, happy in the knowledge that he had saved the other Fathers, cheerful, resigned, uncomplaining, courageous even beyond belief. Never did his cheerful, happy nature desert him; he was conscious of having done his duty and even on his bed of pains he had requests to make which concerned his work in the parish, so anxious was he that certain particular details be carried out- details which were pertinent to the work he had to leave unfinished but which he wanted to see carried out on behalf of the parties concerned. There was little change in his condition, but on Tuesday, five days after the fire, he took a turn for the better; hope mounted. His dear sister, Colette, who was constantly at his side and apparently knew no fatigue; his relatives, and his hosts of friends, were cheered to no end. Wednesday morning at about 6:50, fortified and comforted by the Last Sacraments of the Church, which was administered by Fr. Matthew De Benedictis, O.F.M., a schoolmate, he passed peacefully to his reward- the eternal and blessed reward that Our Blessed Lord has reserved for heroes such as he. 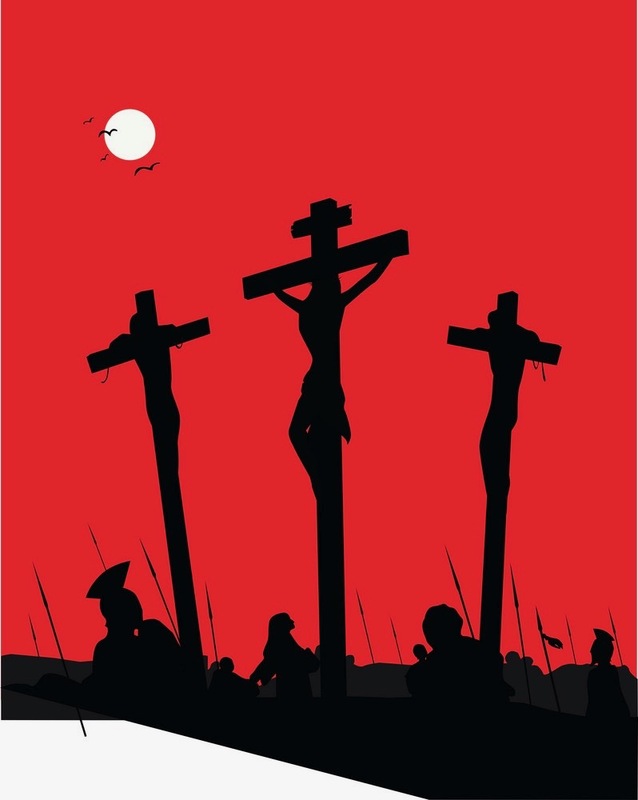 For He has said: ‘greater love than this no man hath, than he lay down his life for his friends. Fr. 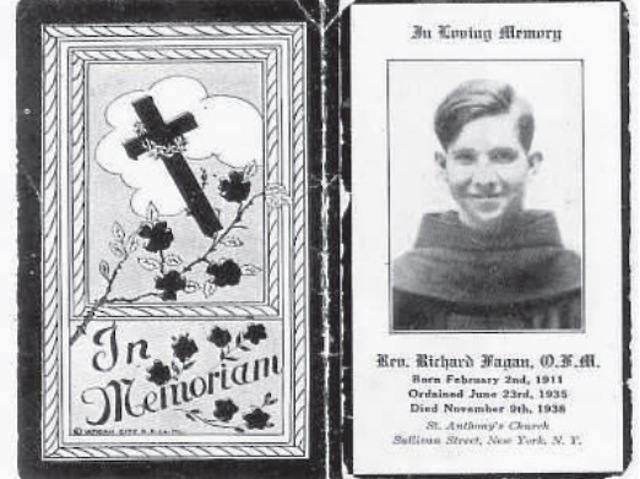 Richard’s body lay in state at St. Anthony’s for three days, and thousands paid their last respects. The Solemn Requiem Mass was celebrated at the church on November 12. Fr. Virgil Liucci, O.F.M., the pastor, was the celebrant, and was assisted by Fr. Michael Di Pietro, O.F.M., as Deacon, and Fr. Henry Borelli, O.F.M., as Subdeacon, both of whom were Fr. Richard’s classmates. Two other classmates, Fr. Paul Bertolami, O.F.M, and Fr. Andrew Bacigalupo, O.F.M., were acolytes. The eulogy was delivered by the Right Rev. William E. Cashin, representative of His Excellency, Mot Rev. Bishop Stephen J. Donohue. The church was crowded with parishioners and clergy. Outside, 1,000 or more men and women stood mourning for the popular priest. Fifty priests and four monsignors attended the mass. Among the clergy were the Very Rev. Anicleto Silvioni, O.F.M., the Provincial Minister of the Franciscan Province of the Immaculate Conception, and the Very Rev. Alphonse Parziale, O.F.M. the Provincial Vicar. Father Richard was survived by a sister, Colette, his half-sister Marilyn, his half-brother John, and his stepfather, Mario De Costa. His burial was at the Franciscan Friars plot at Calvary Cemetery. On Monday, October 22, 2018, the new Franciscan Province of the Holy Spirit has been created. The union was formalized by a decree of the General Minister of the Order of Friars Minor, Michael Anthony Perry, OFM. 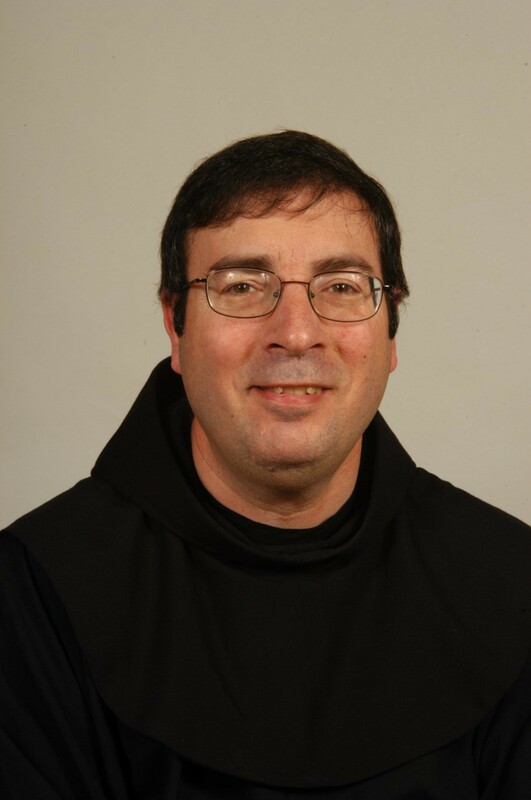 The new Minister Provincial is Friar Pierre Charland, OFM. The new province is the result of the merger of the two Canadian Provinces, Christ the King of Western Canada and St. Joseph Province of Quebec. Many guests from across Canada came to St. Albert, Alberta, to join in this historical celebration. Friar Peter Williams, OFM, general delegate, as well as some Canadian bishops and Franciscan Provincial ministers from the USA. 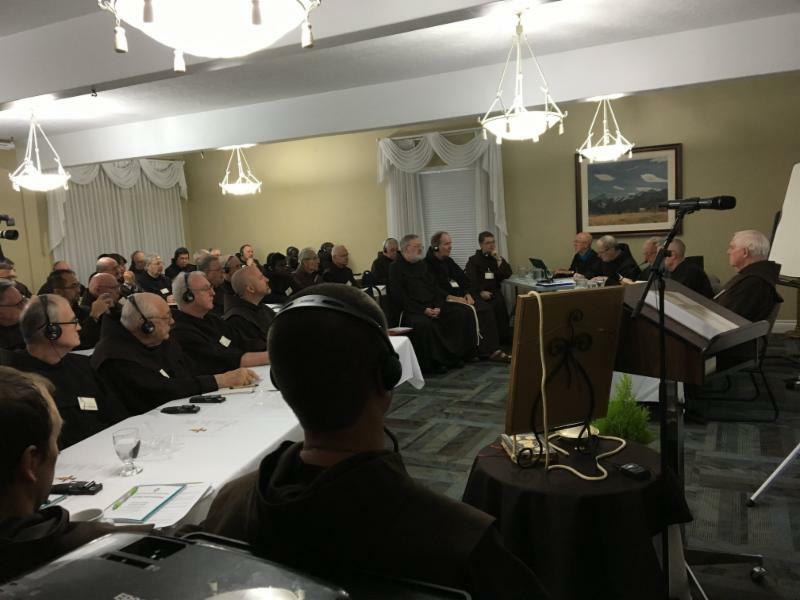 The new province will include 87 Franciscan friars from the ages of 32 to 97 present in Quebec (Montreal, Lachute, Trois-Rivières), British Columbia (Vancouver and Victoria) and Alberta (Edmonton and Cochrane). The headquarter of the new Province will be in Montreal at La Resurrection convent. The Franciscan presence dates back to 1615 with the arrivals of the Recollects. 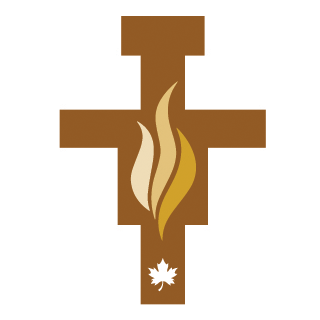 The existing Franciscan presence dates back to Quebec, in 1888 and the first presence in Western Canada was in 1908. The St. Joseph Province was founded in 1927, and Christ the King founded in 1955. In 2018, before the unification, Saint-Joseph Province had 55 friars and Christ the King Province had 32. Most of the friars of Saint-Esprit/Holy Spirit Province are from Canada. However some Friars have joined from other countries such as Poland, South Korea, India, USA, Germany, France, Ireland, Netherlands, Vietnam, Democratic Republic of Congo, Philippines and Nigeria. Of the 87 friars there are four in temporary vows and two novices in formation at the International Novitiate in Ireland. There are currently ten friaries in the province across Canada. 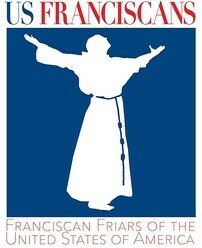 Friars are also involved in a variety of ministries including, parochial and sacramental ministry, retreats, service to the poor, pastoral care for vocations, hospital and school chaplaincies, social justice advocacy, service to refuges, ministry to Indigenousness communities, overseas missions, and Provincial administration. 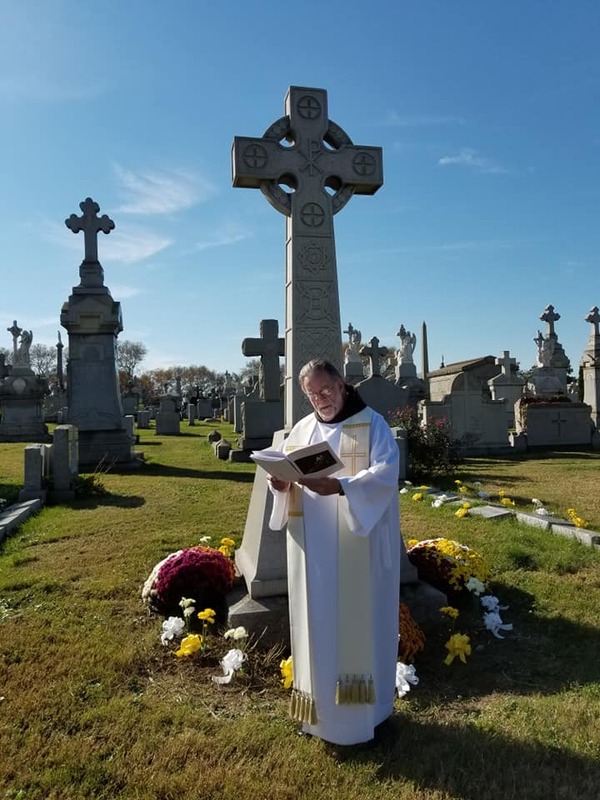 Masses were celebrated in November at the four cemetery sites of the province: Calvary Cemetery in Queens, NY; St. Francis Cemetery in Andover; Mt. Alvernia in Wappingers Falls; and Toronto, Canada. 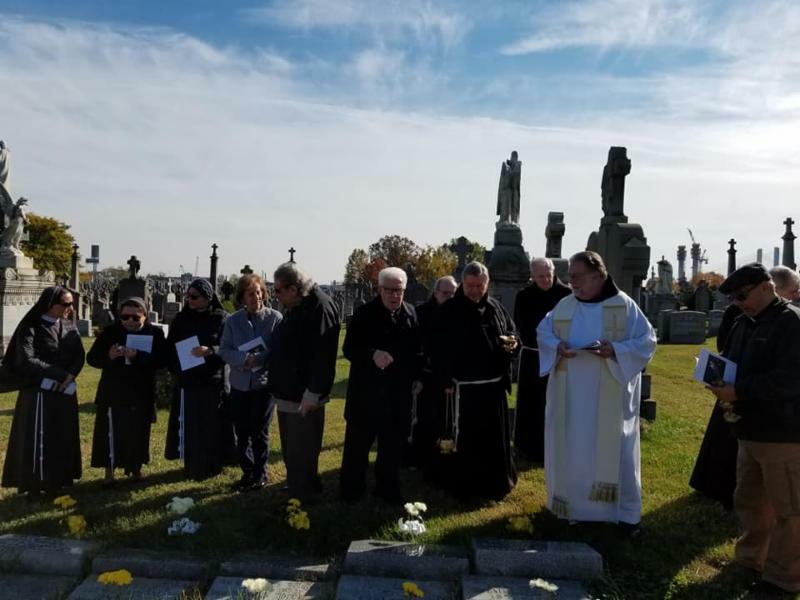 Below are some photos of the New York regional gathering at Calvary Cemetery. Friar Patrick Boyle, OFM, Provincial Vicar, leads graveside service. Booklet prepared for the Mass and cemetery service. 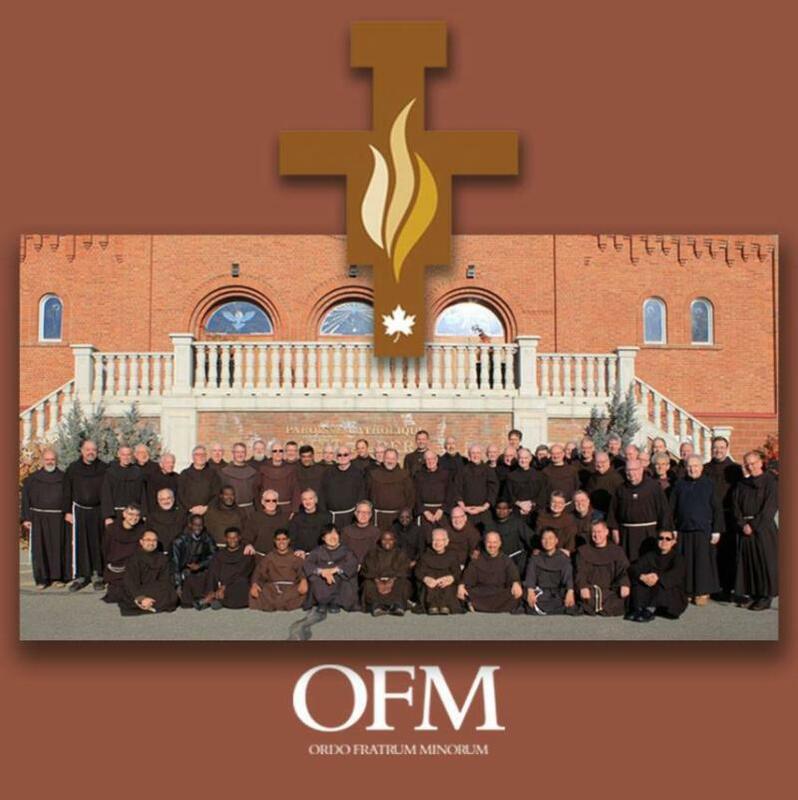 We have received word from Friar Charles Talley, OFM, Director of Communications for the St. Barbara Province, on the status of the friars at Serra Retreat in Malibu. Serra Retreat was established in 1942, and overlooks the Pacific Ocean. It is a beautiful and prayerful place, and has been the venue for many Franciscan meetings and gatherings through the years. 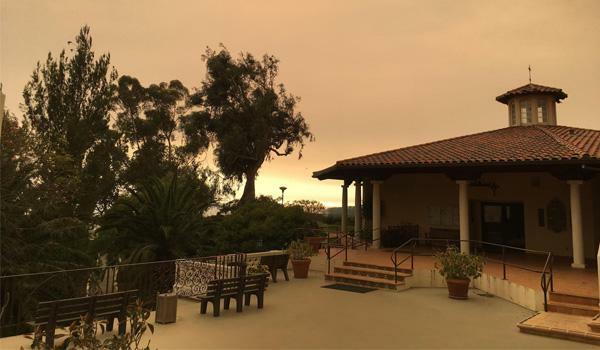 MALIBU, Calif. — Despite the raging fires in southern California, the friars of St. Barbara Province at Serra Retreat are safe and sound. The premises of Serra Retreat were evacuated, with the exception of firefighters who have been given hospitality there during the ongoing Woolsey and Hill fires, which ignited on Nov. 9. Fr. 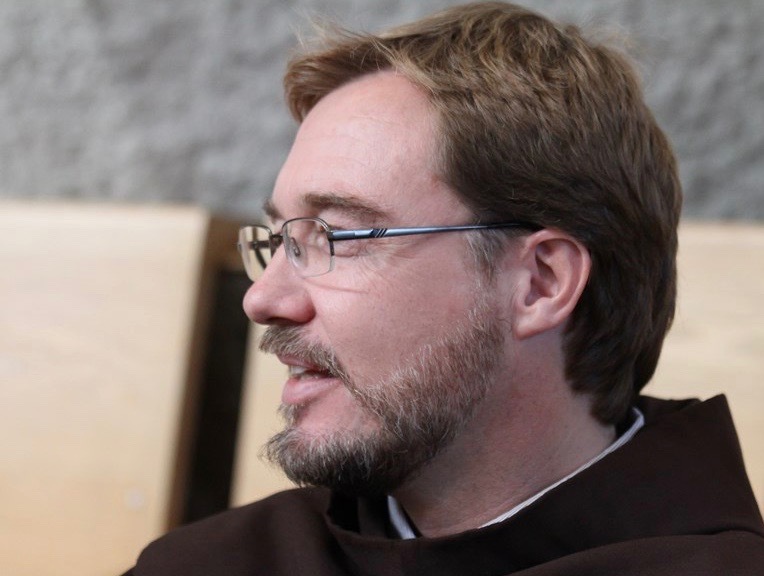 Mel, former provincial minister of St. Barbara Province, said that the other friars in Malibu were all safe and sound and had either found shelter elsewhere or, like Friar Michael Doherty, OFM, had elected to stay on during the evacuation period. In the Bay Area smoke and ash from the recent Camp Fire in Paradise, Calif. — abetted by high winds — continued to pour over portions of the San Francisco Bay Area the weekend of Nov. 10. With pollution at dangerous levels, residents were advised to stay indoors as much as possible. The devasting conflagration has so far claimed upwards of 50 lives and essentially destroyed the town of 26, 000 inhabitants approximately 170 miles northeast of San Francisco. 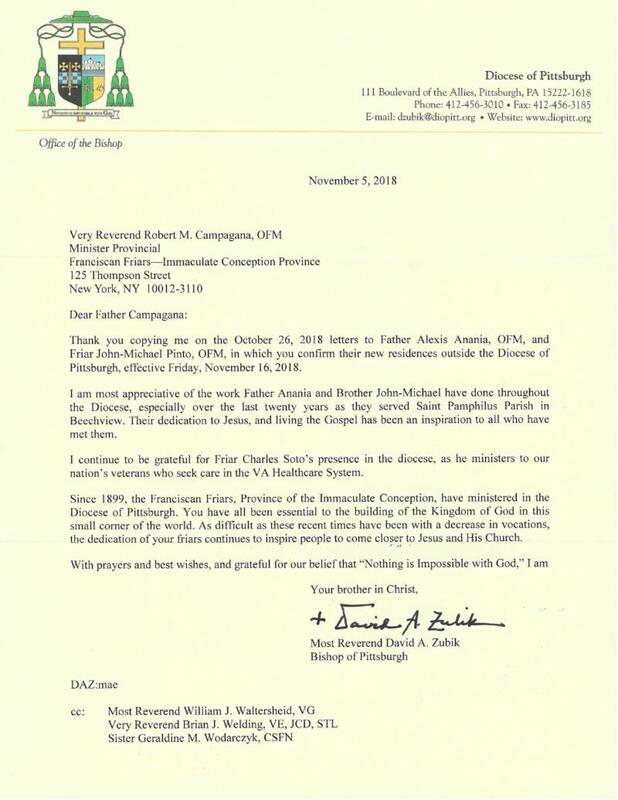 The Minister Provincial received this letter from Bishop David Zubik, Bishop of the Diocese of Pittsburgh, thanking the province for its faithful service to the people of the Diocese of Pittsburgh since 1899. Good afternoon! I hope this email finds you well on this October day. I'm writing to share some good news with you. 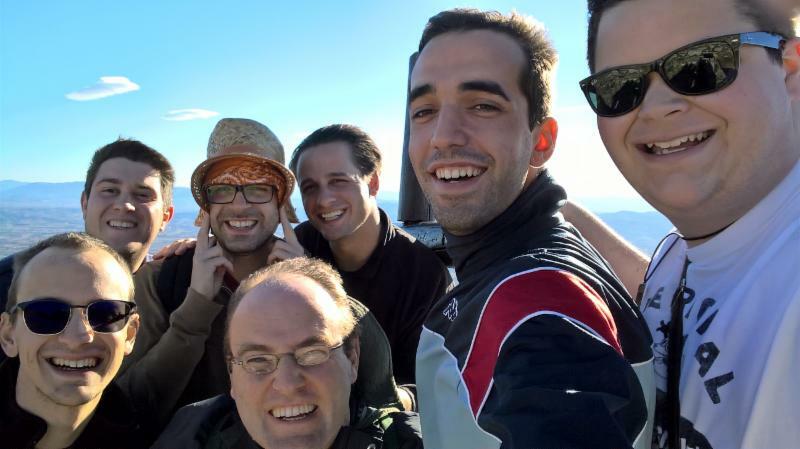 As you know, several Franciscan Mission Service (FMS) missioners serve at Valle of the Angels with Fr. Michael. This year returned missioner Amanda Ceraldi, who served as an FMS missioner at Valley of the Angels Orphanage in Guatemala for 3 years, was honored as the featured speaker at the Franciscan Monastery of the Holy Land in Washington, DC. Several dozen FMS family members gathered to commemorate the day. During my time at Valley of the Angels I gave and received love more than I ever thought possible. I discovered infinite ways to love another person. The community and environment at Valley was one that cultivated unconditional love. Through the children, the staff, the benefactors, and all those connected to Valley, love was at the center of the mission. The entire reflection is online, and we'd welcome the Province to republish it if it assists with any of your communications work. Thank you for your support of FMS that makes experiences like this possible. We are deeply grateful. In the early part of 2013, our students began to received lessons from San Martin, a well known bakery franchise and Naturalceites, a local business. By 2014, intecap, a prestigious vocational school provided the students with some training with the purpose of helping them acquire knowledge and practical techniques that would help them after graduation. We then formalized classes with the 11th grade girls, teaching them to bake bread and extended the program to include 12th graders with a class in making pastry. In 2015 Naturaceites joined the formal trainings and began to offer our 10 th and 11 th grade girls bread specialties and pastries. In 2016 Molinos Modernos joined and began teaching the girls of 10 th grade the basics of baking. By the end of 2016 we began to see the fruit and true potential of the program not only providing marketable skills for the girls but as a means of creating a self-sustainable project for valley. At this time we were already baking all our own bread for the children and offering it after mass as well. With the generous support and enthusiasm of Rodolfo Cabrera and Jose Moreno of the El Pulté, we were offered an amazing opportunity. Rodolfo designed a bakery for Valley and Jose and the El Pulte committed to building it for us. The ground breaking ceremony of the construction for the bakery took place on September 20, 2018. We are thrilled our girls will be given the opportunity to learn valuable skills which will help them gain their own financial independence. Br. 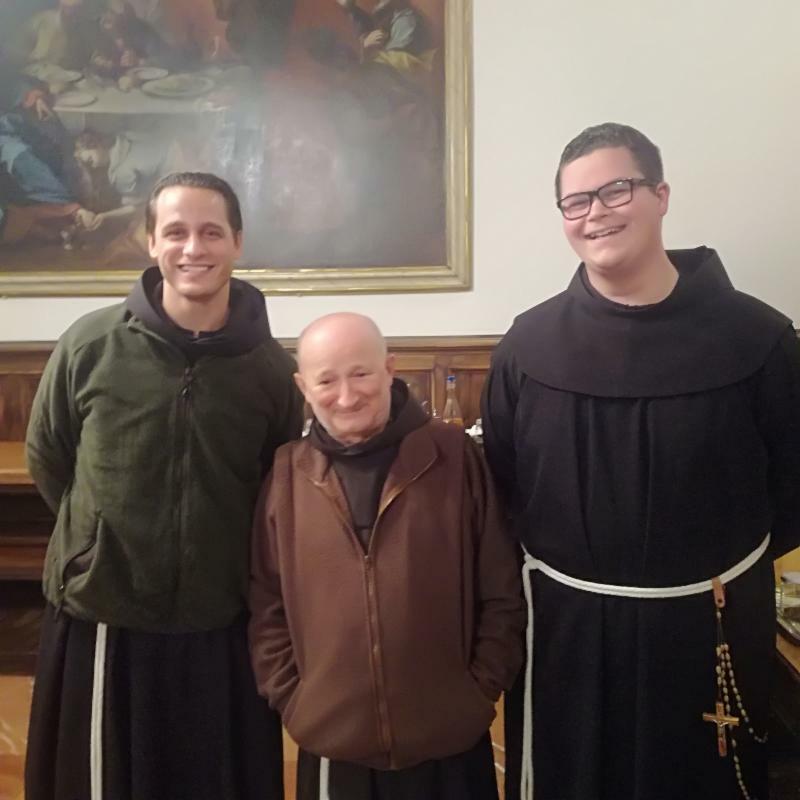 Damian Novello, OSF, assistant to the community minister of the Franciscan Brothers of Brooklyn, addressed 20 people at the curia’s Duns Scotus Library on November 10, 2018, on the subject of spiritual direction from a Franciscan standpoint. Fr. Andre Cirino and Siobhan O’Dwyer coordinated the lecture and reception. Brother projected an interesting diagrammatic view of the religious experience, using St. Francis’ castle dream (2 Cel 6) and elements of Ignatius’ Spiritual Exercises. The upward progression, he pointed out, is from knowing one is a “loved sinner” to being, suffering, and rising with Christ. The height, or top story of the castle, is the contemplative phase (love). Spiritual direction – better, dialog, accompaniment – for Franciscans involves allowing Francis, Clare, Bonaventure, and the other exponents of our extensive tradition to inspire us to love and imitate Christ more fully. As a one-on-one encounter, the participant seeks or sets a goal and reflects with a prayerful accompanier on the progress being made or to be made. The current direction of the United States is diametrically opposed to these values. Impoverished people are dismissed from our public discourse. People of color continue to experience a system of racial oppression. are dismissed or undercut by short-sighted public policies. The warnings of science regarding air, land and water, and the very survival of humans as part of the earth community are ignored. And constant belligerent rhetoric, including threats of nuclear devastation, issue forth from current U.S. American politicians.